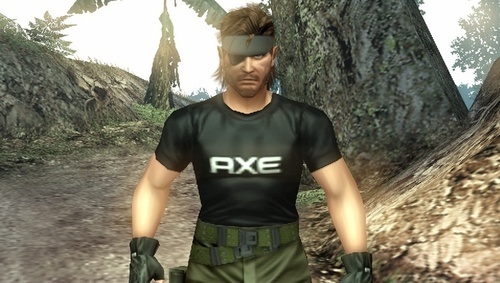 From Axe body spray to Doritos chips, upcoming stealth game Metal Gear Solid: Peace Walker is wall-to-wall product placement. Game designer Hideo Kojima explains why. "Concerning the current tie-ins, various things are being said in the news in the business sense, but I have singular reason," Kojima wrote via Twitter. "It's because I want to surprise players. If there's no surprise or freshness, then I'll stop the tie-ins. It's different from Hollywood-style merchandising." So this is totally different from when actors or actresses hold products in movies. That is not surprising. The product placement in Peace Walker is incredibly surprising! Don't believe us? I gotta admit, not really suprised. They did this in MGS3 with Calorie Mates and in MGS4 with the iPod, but seriously, AXE and Doritos? I mean, I personally use both but this is lame.